Bob Wolmer died yesterday (May his soul rest in peace). Was this coach of Pakistani team so depressed/ ashamed of the team’s performance? (Where does the sportsman spirit go?) If he really was ashamed of this team then there he left a lesson for the team. He was the coach and the players should follow him. Don’t come back to Pakistan. SUICIDE! Heck, the team did not even try. We hate you!!! 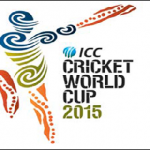 India to lose in World Cup Semi Final? We Are With You Wasim! you people never see our aggrettion yet,we are calm and peace loving people,try to control your fingers on key board coz your attitude is going against you and you nation. as i can say many things about ur country too but as a good Nation peoples v belongs too and v beleive that v can never use these cheeper words against any Nation or any religon even we do have or dont have any proof against them so just think b4 u Ink some thing next time.